Three years ago I moved to a new city with my family. I didn’t have any friends until I met Ava. She accepted me for who I am so we became BFF’s immediately and began to spend a lot of time together, like, A LOT. A year went by, and suddenly Ava started getting controlling. She wouldn’t let me talk to other people or make new friends at school. One day she even forgot my birthday and told me that I wasn’t allowed to do anything for it, I couldn’t throw a party or anything. That’s when I started to become scared of her. One of my biggest fears is being alone especially at school. So, I was scared of losing her, and I was scared of her. I knew if I wasn’t friends with her anymore she would bully me and make my life hell. Ava would always want to be with me and would *never* leave me alone. She would even get angry if I ever said NO to her and on top of that, she had many personal issues which she would always blame me for not having them as well. She would get mad at me if something good happened to me. I soon realized that I was in an abusive friendship. During the summer my parents sent me away, and in those months I realized how happy I was when I was not with Ava. I wanted to live life and she wouldn’t let me. When I got back I knew that I was done living in fear, every day, all the time. Finally, I put an end to it. In order to get away from her, I needed help from my parents, I didn’t know how to deal with it otherwise. I was too scared. My parents took my phone and went to my Facebook log-in history and noticed that Ava had been logging in about 6 times a day to read my messages to make sure I wasn’t talking to anyone else. They asked me to change my Facebook password so she couldn’t log in anymore. That’s when my parents got angry, took my phone and texted her back saying I was no longer allowed to hang out or talk to her. I was a little stressed out, didn’t know what would happen next. But deep down, I was RELIEVED. Today, I feel SO happy and stress-free. I’m able to live life now. I don’t have to worry about constantly doing things that I don’t want to do. I’m not living in fear anymore. If you think you are in an abusive relationship either with a friend, a partner, a co-worker, a boss or even a family member, don’t wait to take action. I know it is scary. You’ll be afraid to not have that person in your life anymore. You will fear what that person may do or think. None of that is relevant enough if your own freedom or happiness is being kidnapped by someone else. If you need to find help because you can’t do it alone, don’t hesitate. People around you just want to see you happy and will do their best to help. 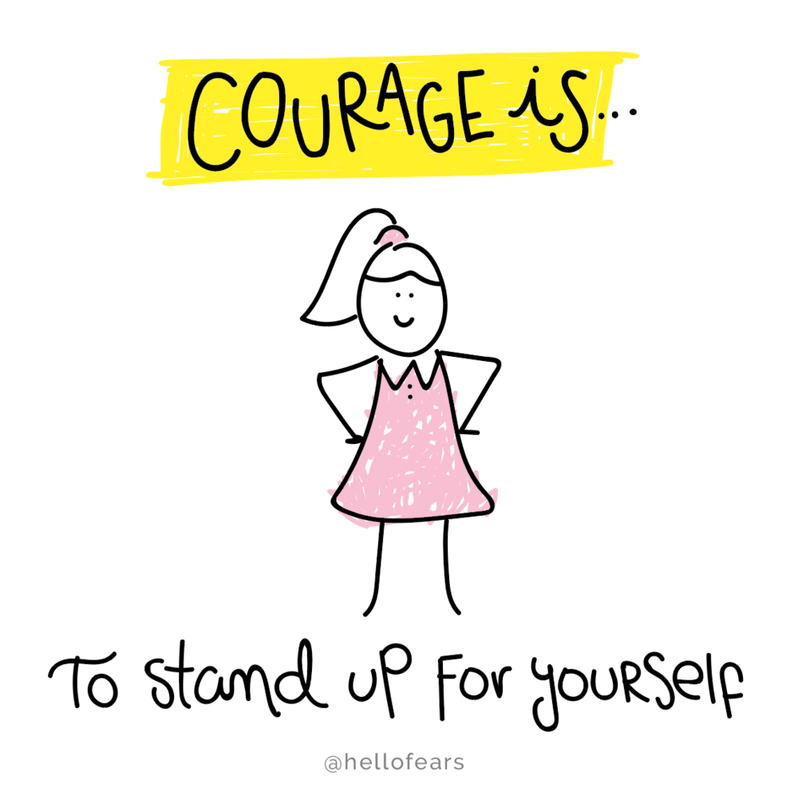 Asking for help takes courage, so don’t be embarrassed for doing something courageous.